The history of women in America is a story of oppression, bravery, triumph despite stacked odds, and ongoing struggle. While things are certainly better than they once were, women still face a lot of closed doors, particularly professionally. One such industry that's still a boys club is American fine dining. While you may think all of the off-color "women belong in the kitchen" jokes you've heard in your lifetime would at least mean that one area in which women succeed equally to men is in, well, the kitchen, this isn't the case. Only seven percent of head chefs are female, despite women making up the majority of culinary school graduates. The James Beard foundation partnered with Audi to do something about this inequality. As Loren Angelo, vice president of Marketing at Audi of America, said, "With less than seven percent of all head chefs being female, the culinary industry remains an important field for Audi to support," he continued, "We continue to make strides to drive progress toward a more inclusive and equal future and are proud to partner with the James Beard Foundation year round, and particularly during Women's History Month." The initiative is in celebration of Women's History Month and includes a four-part #DriveProgress dinner series featuring graduates of the Women's Entrepreneurial Leadership (WEL) Program, founded by Audi. The Journiest had the opportunity to attend one of these exquisite dinners at the historic James Beard House. Our dinner was made by the talented Kathleen Blake, head chef at the Rusty Spoon in Orlando, Florida, and featured five delicious, wine-paired courses. Katherine Miller, vice president of Impact at the James Beard Foundation, said of the important initiative, "Our partnership with Audi supports women business leaders across the country. We know that with the right tools and networks, and the opportunity to showcase their work, women build meaningful and successful businesses. 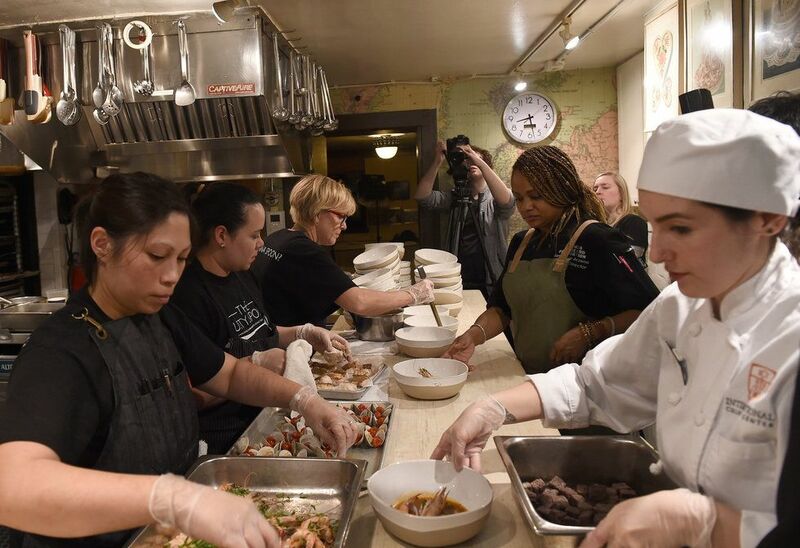 We hope that this first of its kind series at the historic James Beard House will inspire other women to take their dreams to the next level." The Women's Leadership Programs don't stop when women's history month ends, either. The Audi founded program provides training for female chefs at multiple stages of their career to ensure they are an equal playing field with men. The program also provides culinary entrepreneurs with tools in finance, business strategy, branding, and investment. The chefs featured in the #DriveProgress dinner series, including the excellent chef who made our dinner, Kathleen Blake, are all WEL Program alumni and were given the opportunity to take a week-long course at Babson about how to successfully run a business. 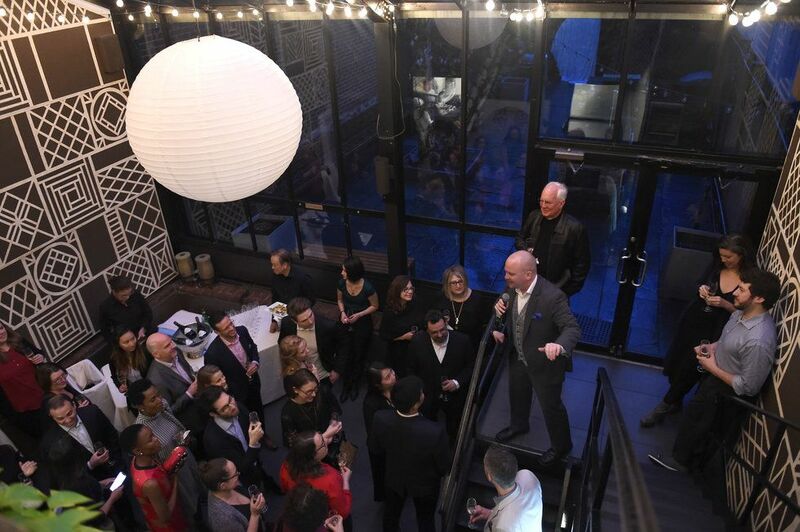 Perhaps the most stirring moment of the evening was when Chef Blake spoke to the room of full and happy guests and was ultimately brought to tears by the reality of having served a meal in the home of one of the greatest chefs of all time, James Beard. She spoke to the talent of her staff and the difficulty of being a woman in a man's industry, drawing admiration and applause from the crowd. Surely, James Beard would have been proud to have such a fine chef honoring his memory with exquisite cuisine, fine wine, and good company.